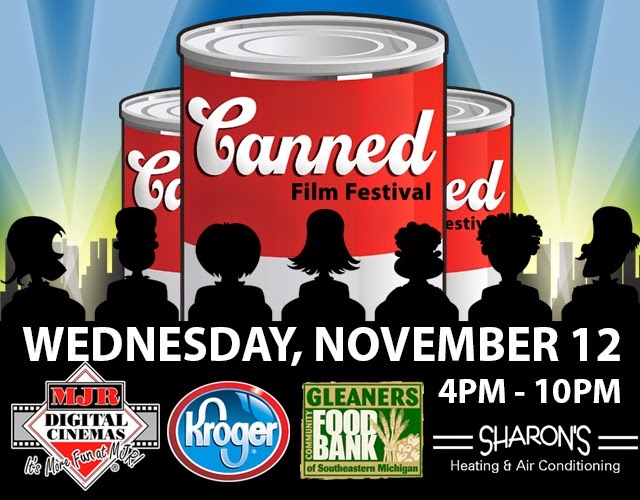 96.3 WDVD's Canned Film Festival is happening Wednesday, November 12 from 4 p.m. to 10 p.m. Bring FIVE canned goods to any of the eight participating MJR Theaters and you can see a movie of your choice for FREE! Join Lori at the MJR Troy Grand Digital Cinema as she broadcasts LIVE from 3 p.m. to 7 p.m. MJR Troy is located on East Maple Rd..
Kroger has issued a challenge to the public: for every Kroger brand canned good donated, Kroger will MATCH the donations up to $5,000! All donations benefit Gleaners Food Bank. For more than 35 years, Gleaners Community Food Bank has been "nourishing communities by feeding hungry people." Last year, Gleaners distributed 45 million pounds of emergency food to over 600 partner soup kitchens, shelters and pantries in Wayne, Oakland, Macomb, Livingston and Monroe counties. Gleaners alleviates hunger by providing the equivalent of 97,344 meals per day to people who otherwise cannot afford the food they need. FREE movie offer redeemable on Wednesday, November 12 from 4 p.m. to 10 p.m. only.